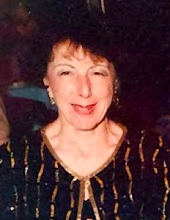 Patricia W. Merrill, age 92 years, of New Hope, PA, died Friday, February 1, 2019 in Richboro, PA.
Born in Hackensack, NJ, August 25, 1926, she was the daughter of the late Raymond H. and Myrtle C. Wilcox. A graduate of the Katharine Gibbs School, Pat was a retired secretary for IBM. She lived a full life and was an active golfer, prolific traveler, and accomplished bridge player. She was predeceased by her husband, Paul A. Merrill in 2003. Surviving are a brother, William R. Wilcox of Flemington, NJ; two nephews, William J. Wilcox of St. Louis, MO and Mark R. Wilcox of Leavenworth, KS; and a step daughter, Gillian Merrill of North Carolina. A Memorial Service will be held on Friday, February 8, 2019 at 1:00 PM in the Holcombe-Fisher Funeral Home, 147 Main Street, Flemington, NJ, with Rev. Ryan Nace, Three Bridges Reformed Church, officiating. Calling hours will be held Friday from 12:00-1:00 PM in the funeral home. Interment will be private. "Email Address" would like to share the life celebration of Patricia W. Merrill. Click on the "link" to go to share a favorite memory or leave a condolence message for the family.